How could the iPod Killer have failed so miserably when everything else Microsoft has touched has turned to gold? The answer, of course, is the Xbox Success Myth. Microsoft's game console has long been held up as example of the company's steamroller success, but it simply isn't. By presenting the Xbox as a raging success, Microsoft appears to have more clout than it actually does. It also serves to overshadow its more obvious and embarrassing failures, including WinCE, smartphones, PDAs, tablets, and Origami handheld devices. The main component of the Xbox Success Myth is to play down any possibility of game development using open standards such as OpenGL, a direct competitor to Microsoft’s proprietary Direct X and the development library required to deliver games for Linux, Mac OS X, and the new Sony PlayStation 3. The Xbox Success Myth is also directly tied to challenging the iPod. 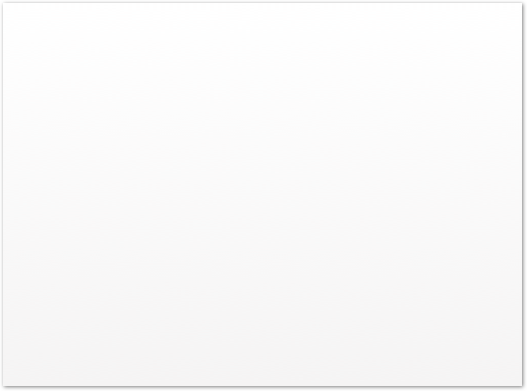 Early rumors that Microsoft's iPod Killer would somehow tie into the Xbox turned out to not be true, but now the Xbox itself is positioned as a media download component in Microsoft’s Xbox Live and Windows Media Center plans, which compete directly against iTunes. As RoughlyDrafted presented in The Next Generation Game Consoles, over the same five years that Apple has turned the iPod into an mega-hit and sold 70 million units, including 35 million just in the last year, Microsoft has struggled to sell 24 million Xbox units, plus another 7 million Xbox 360s in the last year. Of course, the Xbox isn't at all a direct competitor to the iPod. It competes against the Sony PlayStation and game consoles from Nintendo. While Paul Thurrott likes to describe Microsoft's Xbox as a close second place to Sony’s PS2, and Nintendo as a distant third, in reality Microsoft has long been tied with Nin tendo as a distant runner up in game consoles. Sony has sold over 110 million PlayStation 2 units, compared to just 24 million for the Xbox and 21 million of Nintendo's GameCube. In handheld gaming however, Nintendo has sold well over 100 million units of the GameBoy Advance and DS. Adding in those sales, along with Sony’s PSP, leaves Microsoft in a very distant third place: 130 million units for Sony, 121 million for Nintendo, and only 30 million units for Microsoft, even when counting both versions of the Xbox. Over the last year, the new Xbox 360 was only competing against Sony’s PS2, but it still sold poorly. 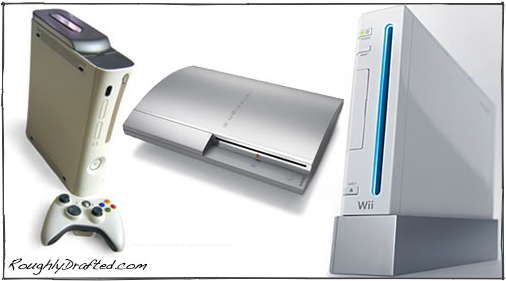 In fact, Sony actually sold 11 million PS2s this year, outselling Microsoft's new Xbox 360 with its six year old box! No only is the Xbox not selling well, but it's not making Microsoft any money. The company has dumped billions into the Xbox. If it can't outsell Sony with a year's headstart using a technically superior product, how will it fare in 2007 against renewed competitive efforts by Sony and Nintendo which target both the high and low end? 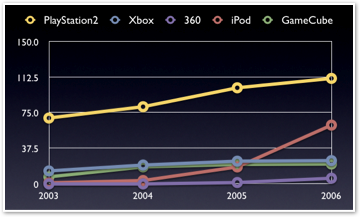 Further, how will the 7 million Xbox 360s sold--only a fraction of which are equipped to download movies from Microsoft's Live store--compete against the 70 million iPods driving the iTunes Store downloads? Clearly, the success of the Xbox both as a games console and as an emerging media center component are grossly overstated. In terms of a financially viable product, the Xbox is no success at all. Analysts continue to rave about the Xbox as if they know no better. It is positioned by fans as both the dominant platform in gaming as well as a underdog competing against the behemoth of Sony, despite the fact that neither is really true. Microsoft leverages its Windows monopoly and its proprietary Direct X to push the Xbox.